As far as most sports go, golf is probably right up there at the top of the list as far as the cost to get started as compared to many other sports, but that certainly does not have to be the case. There is no reason you cannot enjoy the game of golf today without going broke to get started or even upgrade your current equipment. As a matter of fact if you are an average golfer or are just getting started playing the game of golf, going out and buying expensive golf clubs could actually be detrimental to your average game. When you are just getting started playing golf or have been playing for a little while your first and probably most natural instinct would be to run out and get the most expensive golf clubs you can get thinking that it would increase the level dramatically and quickly, but it could actually a reverse effect on your golf game. You see, good expensive golf clubs are not as forgiving as a less expensive set of golf clubs. These expensive clubs are geared more to the more skilled golfer who can hit the golf ball on the sweet spot more frequently than the beginner or average golfer can. Buying less expensive golf cubs will help you to develop a more consistent golf swing due the fact that they have a larger sweet spot so you will be able to enjoy the game of golf much quicker. Make sure every club is not bent or damaged in any way. I would suggest especially if you are a complete newbie to the game of golf perhaps you take a short lesson or at least go to the driving range with a buddy who has played the game and has some knowledge of the game in order for you to at least get a solid foundation, a decent swing technique and hitting the ball somewhat consistently. After that you can go on the internet and find out just about anything you want about enjoying the game of golf. You can learn all the golf terminology used in the golf world and on the golf course so you don’t feel like a fool when you are out on the golf course yourself. You can find all kinds of videos and e books so you can pick up pointers so you can try to improve your own golf game even more. 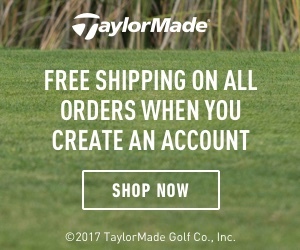 The internet is also a place where you can find different golf courses in your area, the rates they charge to play their golf course, directions to all the different courses and just a ton of other golf course information.If you are just starting out you can find out where certain nine hole golf course are which are much easier to start out on than the larger eighteen hole golf courses. You can check out different golf instructors, what their rates are for lessons and what golf courses they teach at. You can also find a lot of free instruction on the internet, you tube etc. Typically most golf courses consist of eighteen holes, so in this situation if were to start your round of golf on the first hole then holes ten through eighteen would be considered to be the back nine. Sometimes when golf courses get crowded you may start your round on the tenth hole, in this case holes one through nine would be considered the back nine. Golf courses normally consist of three different size holes, par threes are shorter holes normally between one hundred and two hundred yards to the hole, if you get your golf ball in the hole with three shots, you have made par, par fours are typically between 300 and 400 yards long, if you get your golf ball in the hole with four shots you have made par. Then you have par five holes which are typically between 450 and 550 yards long, if you get your golf ball in the hole with five shots you have made par. A bogey occurs when you get your golf ball in the hole with one more shot than what the whole requires, in other words on a par three hole it takes you four shots to get in the hole you have made a bogey, the same concept holds true with the par four and the par five holes..
A bunker is a depression in the ground on the golf course which is more often than not it is filled with sand. Bunkers are normally found around the green area but can also be found in the fairway. The bunker can also be known as a sand trap. The green is found at the end of every holes it is where the hole is located and where the flag stick is put. These are just some general terms used in any given round of golf, there are many, many more that I will cover at another time. There are many things to consider before purchasing a golf bag. Whether you are a novice golfer or a skilled golfer there are many things to take into consideration before you purchase a new golf bag. There are basically two different types of golf bags, the carry golf bag and the cart golf bag. If you are a novice golfer and plan on walking the golf course as you play your round of golf you probably want to look into a good carry bag with sturdy straps. Most carry bags have retractable legs so when you put the bag down the legs automatically come out so your bag does not have to lie on the ground. The cart bag is a much larger bag and is used to be put and kept on the back of a golf cart or used with a caddie. 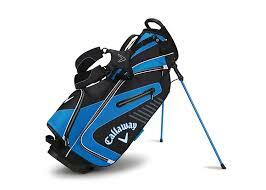 There are many other things you need to consider when purchasing a golf bag whether it is a carry bag or a cart bag. The main thing is you will need to have plenty of storage and different compartments. Most bags all have a place for a large golf umbrella. You will also need a large compartment for golf balls and smaller compartments for tee’s, wallet,sunglasses,golf gloves and other things like keys’ cell phone etc. So be careful in the golf bag you choose and be sure it is comfortable for you. If you are really serious about enjoying this game of golf never settle for mediocrity, Whether you are at the driving range or on the golf course playing a round of golf always play to the best of your ability and with great sportsmanship. You will enjoy this wonderful game of golf much more. I hope you have enjoyed the information in this post always feel free to ask me any questions you may have and I will get back to you as soon as possible, also please feel free to leave a comment below and I will respond to that also asap.